Latest News!!! The IIT (Indian Institute of Technology) Bombay has recently announced the UCEED Information Brochure 2018 on its main website. According to the information brochure, the eligible candidates can fill the UCEED Application Form 2018 from 9th October to 10th November 2017. Now, the main question for the beginners is that what is UCEED? The UCEED is the shot form of Undergraduate Common Entrance Exam for Design (UCEED) that is an entrance exam. The purpose of this examination is to provide the admissions to the shortlisted students in Bachelor of Design (B. Des) programmes at IIT Bombay, IIT Guwahati, and IIITDM Jabalpur. There are so many students who want to get admission in Bachelor of Design. We want to inform to those students that if they have to get the admission, they will have to qualify the Undergraduate Common Entrance Exam for Design that is going to be organized on 20th January 2018 (Sunday) in 20 cities in India. To take part in the examination, contenders will have to participate in the UCEED Online Registration on or before the closing date i.e. 10.11.2017. So, students, grab this chance now. 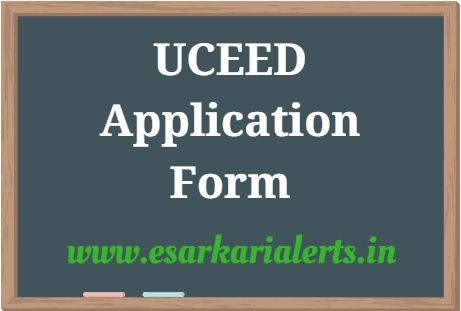 Candidates, who want to apply for UCEED, must have done Class 12th or equivalent in 2017 or appearing in 2018. Candidates from any stream can apply for this entrance test. The students, who belong to Open/OBC-NCL category, should have been born on or after 1st October 1998. Whereas, the students, belonging to the SC/ST/PWD category, should have born on or after 1st October 1993. The registration fee will be applicable till 10th November 2017. Moreover, the late fee of Rs. 500 (Plus GST) will be applicable for those who will do the registration from 11th November to 17th November 2017. Application process for B. Des. After reading this article, if you think that you are eligible for UCEED 2018 then you can fill your UCEED Application Form 2018 on or before the last date. Make use of the following links to apply and read the official instruction on this process. 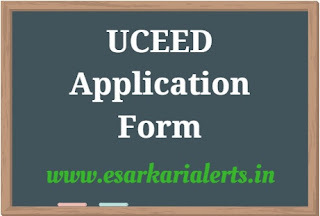 For UCEED Syllabus 2018, UCEED Admit Card 2018, UCEED Answer Key 2018 & UCEED Result/ Rank List 2018, take a look at the following table.